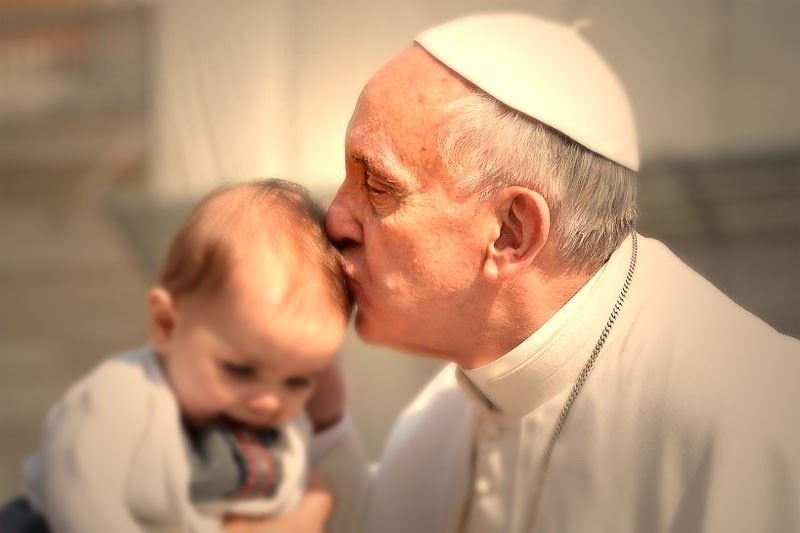 Pope Francis certainly has a loving heart! He demonstrates it in so many ways and on numerous occasions. How often he kisses babies with smiling tenderness. The Pope has gently and reverently embraced with a loving kiss the sick, the deformed, the crippled. I was touched by Pope Francis’ heartfelt cry for peace that he uttered after the Angelus yesterday. With all his heart he begged for an end to hostility and killing in Ukraine, Iraq, and The Middle East. How can I, how can we have hearts that truly love? We have to empty ourselves of our own self interest, of our selfishness. We have to reflect on the Heart of Jesus Who invites us to love one another as He loves us. We have to pray that we will grow into that love: “Jesus, meek and humble of heart make our hearts like Yours”. Please believe that this prayer will be answered! Ukraine and the Holy Land. We read about Christians under attack in Nigeria. There is continuing unrest and terrorism in Syria, Iraq, and Afghanistan. There have been various attempts by government officials and diplomats to broker peace talks and cease fire agreements all of which are failing. All the people involved in these tragic events are children of God Who loves all of us. They are our sisters and brothers. We cannot be indifferent spectators to these events. Yes, these seem far away from us but we cannot be uninvolved. We are not diplomats or skilled negotiators but we do have a way to be involved effectively. The power of prayer should never be underestimated. I believe that constant prayer with trust in God’s love and desire that we live in peace does bring about what we ask. Prayer is never futile. Prayer draws us ever closer to God and makes more aware of our relationship with those for whom we pray. Prayer is not political but it deepens our love for God and our sisters and brothers. Please pray for peace! God does hear us. I am writing this while undergoing my dialysis treatment. I have dialysis three days a week ( Monday, Wednesday, and Friday) for four hours and fifteen minutes a treatment. Why do I call it a ” Grace”. Dialysis provides me with a time to pray and reflect; I use the time to keep up on Church news and especially the statements and various talks of Pope Francis. For me the greatest gift of of dialysis is the constant reminder of a great truth. I am tethered to the machine which draws out and purifies my blood. This is what keeps me alive. This is a constant example and reminder to me that I must always be tethered to God in order to have eternal life. attached to You, with You is eternal life. Thank you for this continuing reminder, the Grace of Dialysis. Amen.